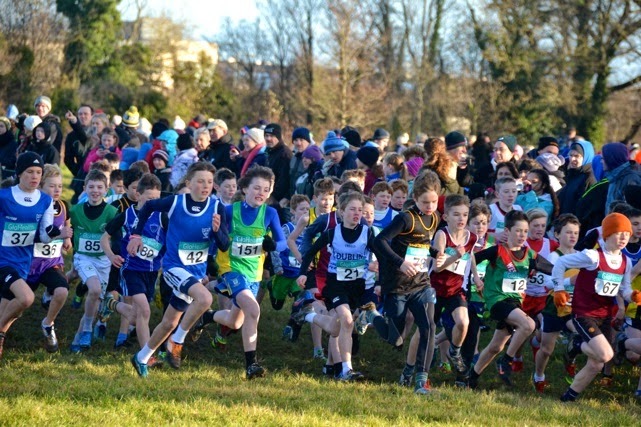 The uneven age All Ireland juvenile x-country championships were held in Santry Demesne on Dec 7th. While the rain held off it was a bitterly cold day and underfoot conditions were testing for the athletes. Our u 11 girls have been running great all season and they all delivered top class performances once again. Aimee Doherty had her best race of the season when finishing a brilliant 13th overall and was closely followed by Sophie Quinn in 28th. 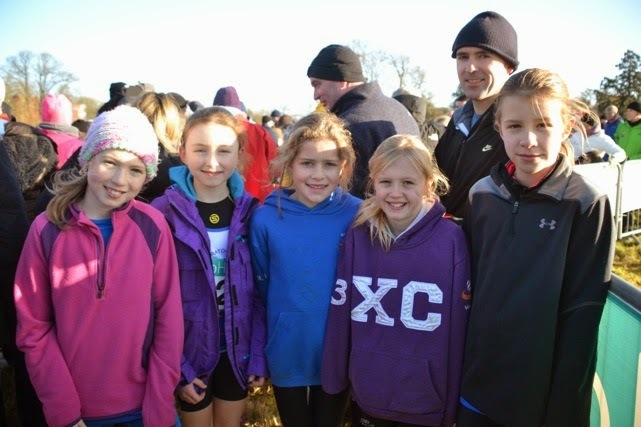 Aimee and Sophie were well supported by Amelia Campbell (71st), Eabha Toole (101st) and Molly Keane and the club team were 5th. Laura kelly had to withdraw due to illness but Laura will be back better than ever before she knows it. 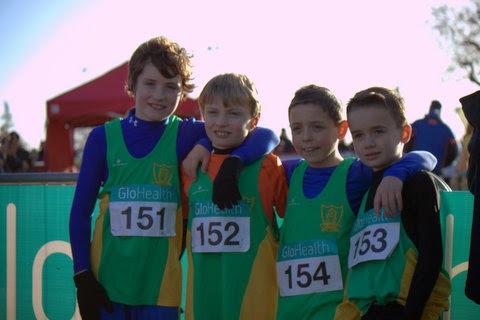 We had four athletes in the boys u 11 and they all acquitted themselves well with Fionn Drummond 85th, Eoin Kane 102nd, Kyle Witter 112th and Harry O Connor 133rd. Karen Hayes was another who gave it everything in the Meath singlet and had a ding dong battle with her cousin right through the girls u 15 race before finishing 74th. Philip Marron rounded off a great AAI cross country season with another fine run in the u 17 boys when placing 19th with his training partner Ciaran Crowther (Ashbourne a/c) tracking him all through the race to finish 33rd and both helped Meath secure the silver medals in the county team championships only losing out to Dublin by 4 points. Deirdre Healy's season has been badly affected by a niggling calf injury but in her first race for nearly six months she delivered a top drawer run when taking third in the girls u 19. 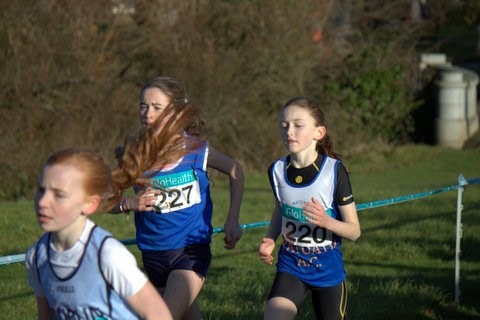 Afterwards she reported no ill effects and was already looking forward to the schools cross country season. It was great to see her back in full flight especially after all the hard strength and conditioning work she has done to get back for these championships.